Jeff is a graduate of Ashland University, where he received a Bachelor of Arts in Business Administration. He began his insurance career in 1981 as a Personal Lines Underwriter at United Ohio Insurance Company. Over the next 20 years, Jeff built a successful career as an Insurance Company Executive. 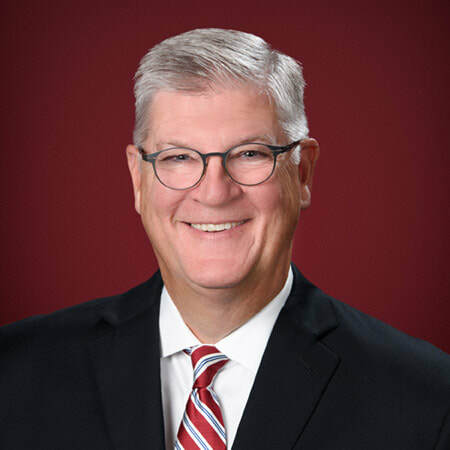 He held key executive management roles at Shelby Insurance Group, GRE Insurance Group, and GoAmerica Auto Insurance - a Liberty Mutual Group company. Jeff returned to his hometown to form his own agency in 2001. Jeff holds the prestigious Chartered Property Casualty Underwriter (CPCU) designation. He is also a Certified Insurance Counselor (CIC). Jeff has completed the Leadership Development Program at the Center for Creative Leadership in Colorado Springs, CO.
Jeff is a member of the Knights of Columbus, the Shelby Memorial Hospital Foundation Board of Directors, Charity Newsies, and is a volunteer with Team Focus. In addition to business and community involvement, he also enjoys traveling and golfing with family and friends. He and his wife Laurie have three children; Erin, Jennifer, and Logan, and two grandchildren; Kendall & Rowan.